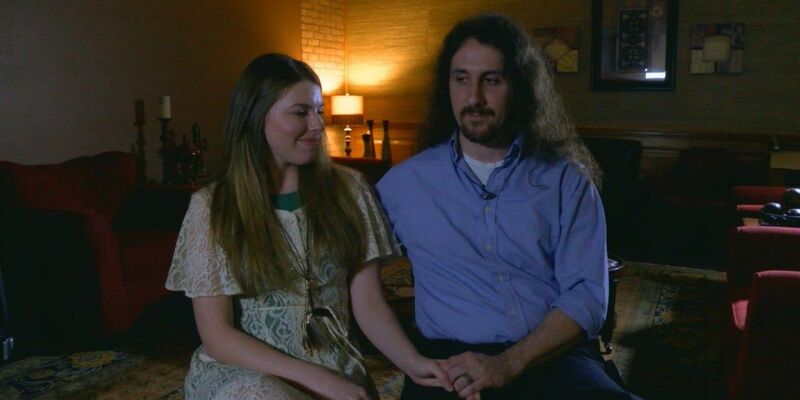 TYLER, TX (KLTV) - The love story of two young East Texans is serving as a lesson for other couples looking to grow their relationship. Caleb and Elizabeth McMinn grew their relationship into something beautiful after a cancer diagnosis tested their commitment. They tied the knot in Tyler on October 04, 2014, then set off on their honeymoon at Lake Travis, near Austin. Caleb, who had recently been diagnosed with diverticulitis, was hospitalized with a new illness that doctors couldn't pinpoint. Seven weeks after their wedding, he was diagnosed with stage III colon cancer. "You know, it's kind of our joke. We say thank God for cancer because it's brought so many things into our life that we wouldn't have now," Caleb said. Their outlook wasn't always so optimistic. "I didn't know if he was going to die," Elizabeth said. "That was the first thing that was coming. I just got married and now I was going to lose him." Instead of writing thank you's from the wedding, they were scheduling chemotherapy treatments and doctors visits. Those vows of 'in sickness and in health' quickly became more than just spoken words. Elizabeth had become a caregiver, arranging appointments and sorting medicine, while running all household matters. "You know, I wasn't always happy, you know, in our first year of marriage. And it wasn't about my happiness, though. It was about how can I serve him and how can I be a representation of Christ to him or him to me." In that year, the McMinn's marriage faced more challenges than many do in a lifetime. When stress and fear overwhelmed them, Elizabeth said she focused on their covenant, a solemn promise made with each other and God. "We always knew that God was using the bad for good and that it would come into something that was good. We always leaned on that, knowing that we were going to get through it, you know, because it was God's plan." Despite the struggles, Caleb says he refused to give up on his marriage or his fight with cancer. He prayed for guidance. "If this is your will and I'm supposed to live through this, let me use this for others. You know, let me be able to tell people this story and then be inspired by it." Through this test of faith, they were never alone. The couple says their hearts were constantly filled with love from friends, family, and even complete strangers. "(They) actually anointed him and we prayed as a group and laid hands on him and we all took comfort in that, for healing," Elizabeth said. "Just surrounding yourself with other believers that also have the same hope was really helpful and uplifting." The McMinns are hoping to share what they've learned with other couples who want a God-centered marriage. They recently shared their story with the ReEngage marriage ministry at Marvin United Methodist Church in Tyler. "Love is not something that comes overnight. It's not something after you say 'I do' that just happens. It's a job. It's hard work," Caleb said. "It's not just something you walk home and your wife is there, oh, you know. It's something you have to work at every day." This realization has changed their outlook on life. "Instead of nitpicking at the little things, it really makes us see that it's not about the little things," Caleb said. "It's not about who took out the trash. It's not about, you know, those things. It's about just really sitting down and being one and not being separated. You know, that's when the divorce comes in. That's when the separation comes in." Elizabeth says some couples give up too easily because of a temporary feeling of unhappiness. "You're supposed to be together for your whole life. Your whole life is a really long time. There's going to be a lot of good times and a lot of bad times. And so you've got to get through the bad times to get to the good times. And you appreciate the good times more because you've been in the valley." Beating cancer taught Caleb an important lesson in trusting God. "I know that we're indestructible now," he said. "I know that there's nothing that's going to come between our marriage now. We have something that no one else can say they have." As of August 2015, Caleb is in full remission. Now, he goes for annual colonoscopies and and CT scans to check up on his overall health. "I feel amazing now, both physically, mentally, and spiritually. It's just something I can't just explain, but it's a great feeling."